Play Arts provides a bright, quiet work space for parents with complimentary coffee, tea and WiFi. Children are supervised by experienced child care providers who have been given background checks, while parents work. 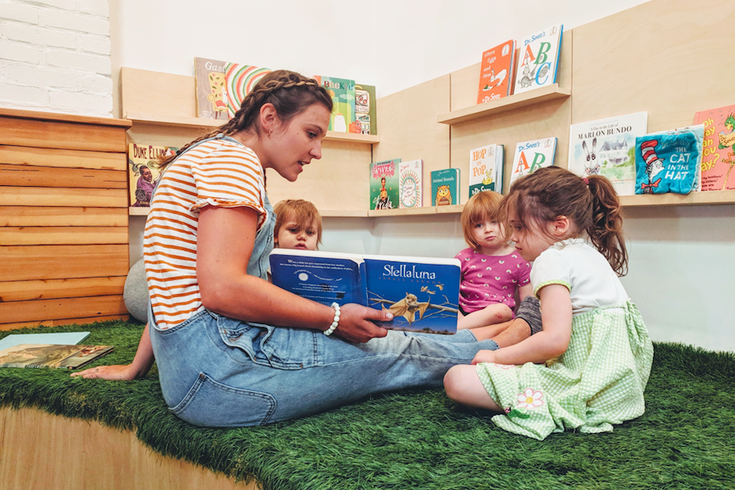 Two local businesses, Philadelphia’s PlayArts and Pop in Kids Club in Exton, Pa. utilize differing business models to fill in the gaps left by traditional models to provide affordable, flexible childcare for families in the Philadelphia area, with mixed results. They have stepped up to address the fact that, while there are significant differences between households today versus those of generations past, options for daycare remained largely unchanged. Given Philadelphia’s booming tech scene, jobs with flexible schedules and remote work options are plentiful. The rise of the gig economy means that later hours are increasingly the norm. Many with traditional office jobs put in far more time than the traditional 9 to 5 schedule. With both parents working in a majority of households, balancing work and family has never been more difficult--or expensive. While the workplace has changed, childcare looks much the same now as it did 40 years ago. With hours that typically end at 6 p.m., the evening commute is a race against the clock for many parents. The hourly rate of babysitters and nannies quickly adds up, with care dependent on the individuals' availability. Susan Yoder used a drop-in care facility because her work as a court reporter entailed unpredictable hours with little notice. Hooray Drop and Play, a now-closed drop-in care facility in Springfield, helped her care for her son while accommodating her uncertain schedule. “As opposed to a traditional daycare that wants to have a set schedule, I was able to pay for 25 hours per week and drop him off any time without notice,” she told PhillyVoice. Many young families struggle to find adequate care for their children when their schedules entail long hours. Entrepreneurs, designers, artists, writers, architects and those with more “typical” office jobs are all among those who seek alternative forms of care for their children, some as the primary source of care, others to fill in existing gaps in their current arrangement. There is unprecedented demand for businesses that understand and cater to the challenges faced by families who require flexibility. 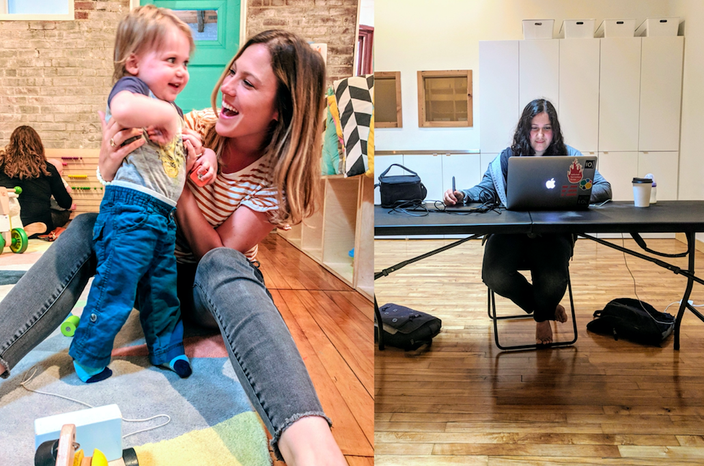 Recently named the Best Coworking Space for Parents, Fishtown’s PlayArts has added a new offering to its already popular modern play space slate of kid-friendly classes and events. Currently in its pilot phase, parents can enjoy coffee, WiFi, and the knowledge that they can get work done with their little one nearby. To start, the co-working option is offered on Mondays and Tuesdays from noon to 4 p.m., and Wednesdays have recently expanded to 9 a.m. to 4 p.m. Utilizing the co-working space at PlayArts requires a reservation of 24 hours in advance, so that staffing can be arranged. Rates begin at $18 for one hour, $27 for two hours, $40 for three hours with rates continuing to decrease with longer stays. Owner Krista Yutzy-Burkey says that the idea to offer a co-working space for parents was two-fold. “First, we wanted to figure out what to do with our space when we weren’t offering classes,” Yutzy-Burkey said. Interest in the option, which launched in the spring, has been resounding. “We’ve never provided a service and had so much immediate feedback,” said Yutzy-Burkey. Yutzy-Burkey realizes that offering the service during nap time for most kids is not ideal for many, but it's a deliberate effort to slowly roll out the service and manage the logistics. A primary challenge is managing the large difference between stated interest and actual registrations, and variability of client needs week-to-week. The hope is that hours will expand even further in the fall. Pop in Kids Club closed its doors at the end of July. 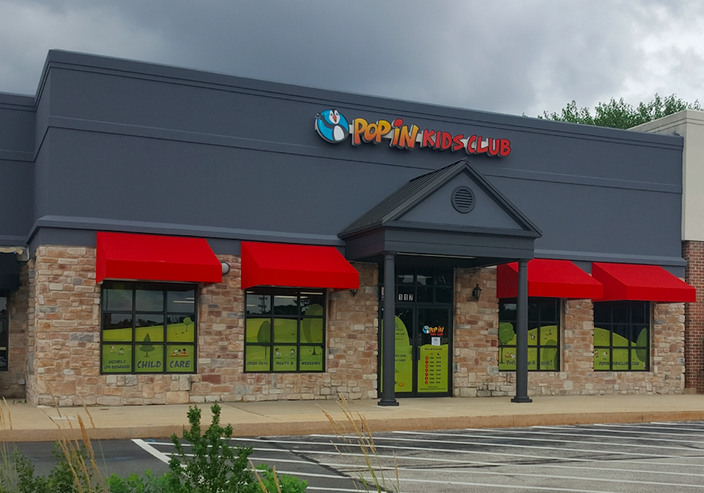 Pop in Kids Club is a drop-off childcare facility located in a busy strip mall in Exton. The bright facade attracted children and caregivers alike. Once open seven days a week, the business was designed to provide a new and much-needed service to Chester County residents for reasonable, hourly rates and a one-time registration fee. Hourly rates were $8 for one child with a reservation and $10 per hour for an unanticipated visit. Opening Pop in Kids Club was a dream fulfilled for Bersak. He explained the service as caregivers being able to “pop, drop, and roll” -- pop in, drop off their kids aged two and older -- and roll out. His customers shared their stories of using the facility to help out for weddings, funerals, breaks in camp schedules, as a back-up for sick babysitters, and things in between. Opened in April of 2018, word quickly spread of the services utility on online parent groups. Responses from those who had used the facility and those that had hoped to poured in. A Go Fund Me campaign was created to assist Bersak’s family, raising more than $2,100 in six days. The contrasting experiences of PlayArts and Pop in Kids Club highlight complex realities for childcare providers in Pennsylvania. Complying with the state’s expansive regulations is an expensive undertaking. 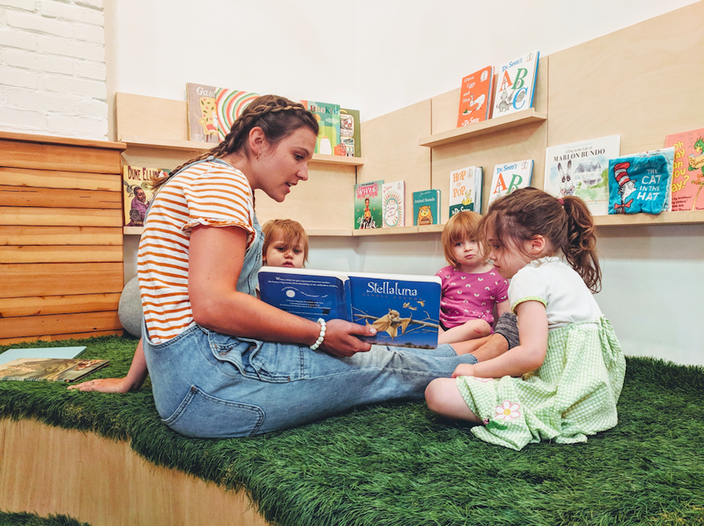 Laws made for daycare centers, traditional and otherwise, are markedly more stringent for facilities where parents are offsite. This reality could account for some of Pop in Kids Club’s struggle. In this tale of two businesses, who wins? With thousands of Philadelphia-area families strained to find quality, affordable care for their children that accommodates their realities, isn't there room for multiple entrepreneurs to attempt to provide care solutions for families? The early success and slow expansion of PlayArts’ co-working option is an encouraging sign of what is possible. However, the closure of Pop in Kids Club highlights the reality that lasting solutions for balancing flexibility, affordability, and quality remain elusive for many Philly families.